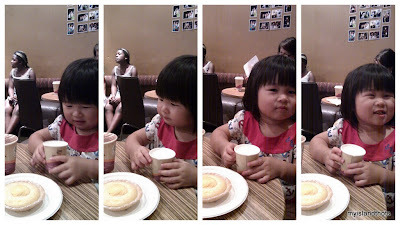 This is "C" aka "Tin, Tin" on her first babycinno. 1. "Ooo, this is interesting. What is a babycinno?" 2. 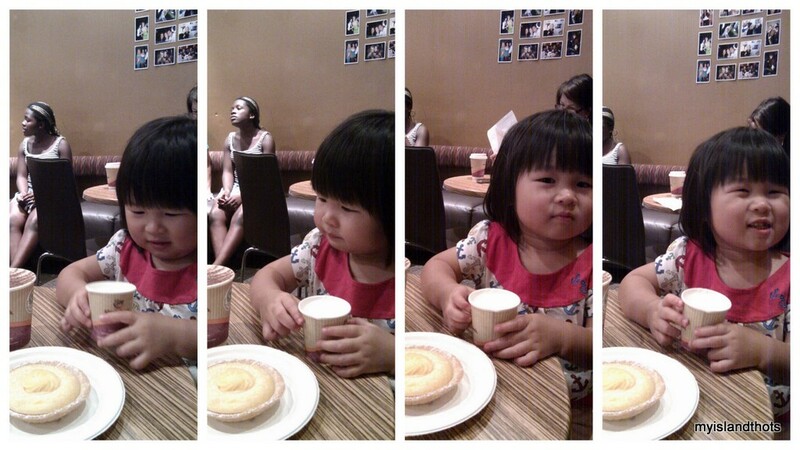 "Hmm, 舅妈 's coffee looks larger and more interesting". 3. "舅妈, I don't know what is this foamy thing. Is it for me to drink or play?" 4. (after the first sip) "Heh heh, it has a funny texture (which I am not used to)..."